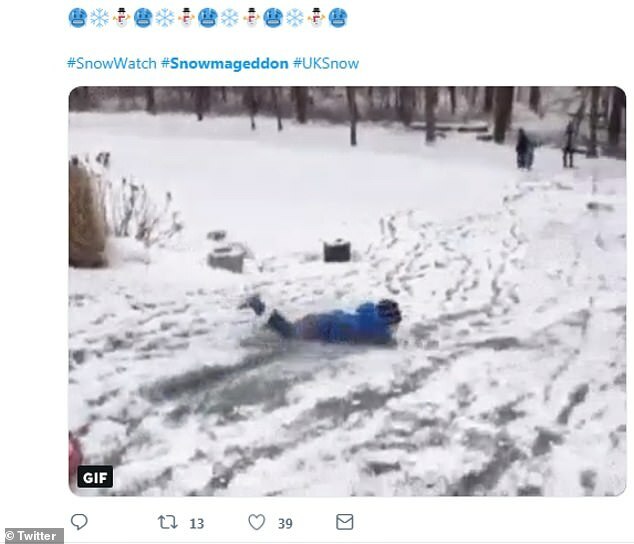 Britons are rejoicing at the prospect of a snow day after blizzards swept across the UK overnight blanketing the nation in crisp, white powder. 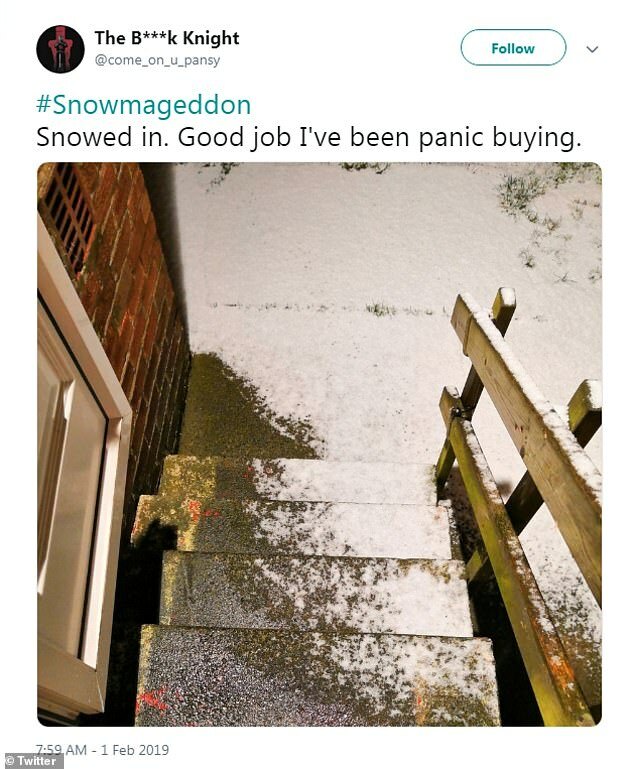 But as commuters wrap up warm and head to work, some have noticed a suspicious lack of fellow travellers and have taken to social media to share the deserted stations along with the hashtag #Snowmageddon. 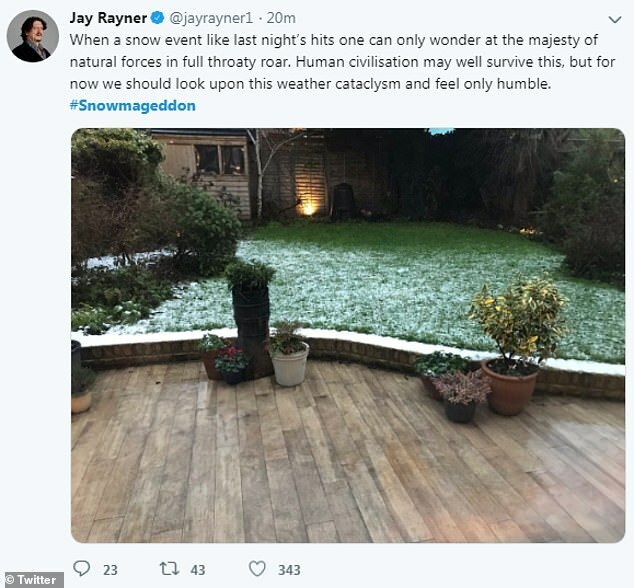 Despite the thick snow and the amber warning issued by the Met Office, Britons are seeing the fun side of the day, sharing pictures of their early snowman attempts and picturesque village pub dusted with the February frost. 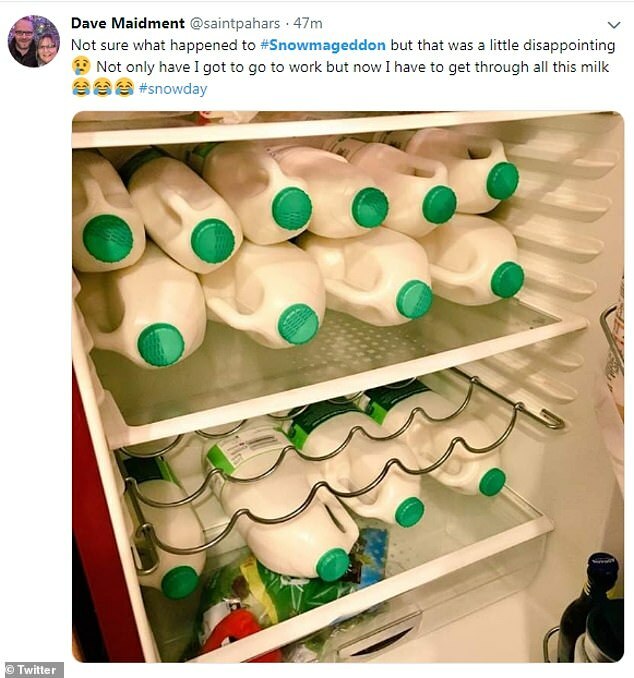 Some have even taken their #Snowmageddon preparations to extreme lengths, stocking their fridge with dozens of bottles of milk (semi-skimmed), should the worst happen and they need endless cups of tea to sooth their woes. 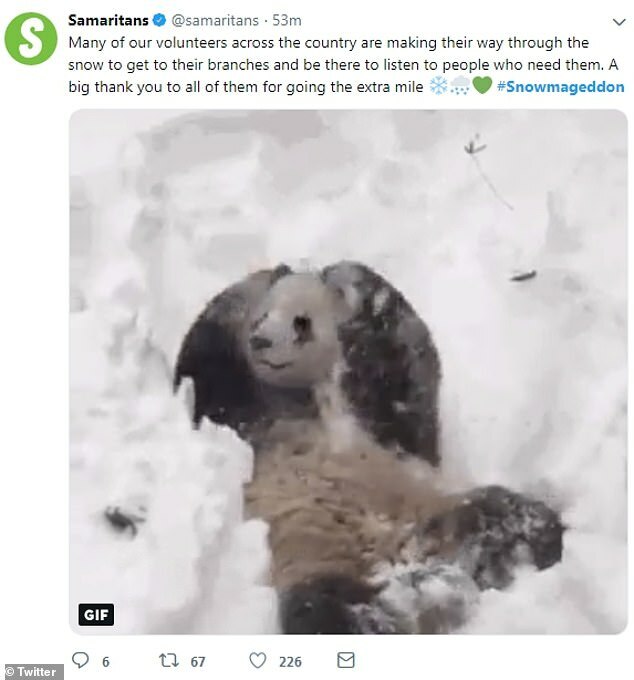 Not everywhere has been affected, though, leaving some bemoaning the lack of snow of their driveways and roads. 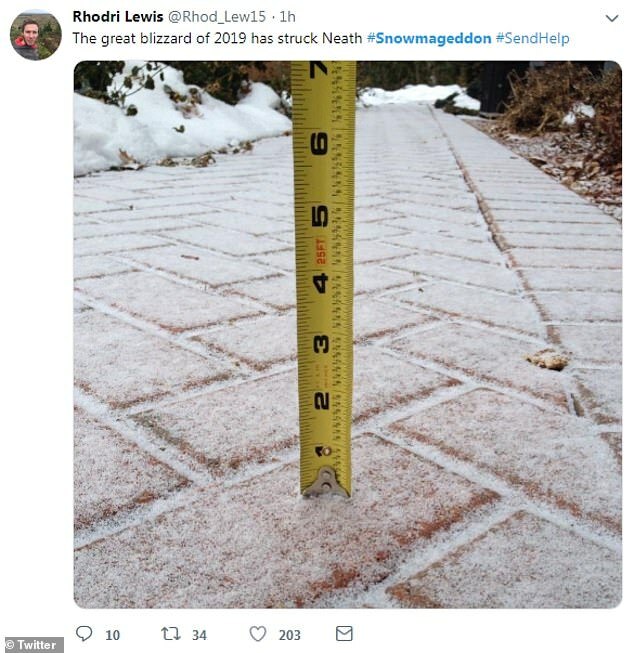 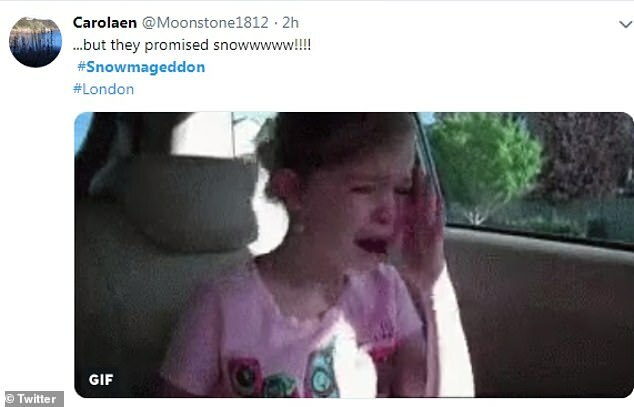 Meanwhile others shared tweets demanding to know where their snowfall was and why they are missing out on all the fun. 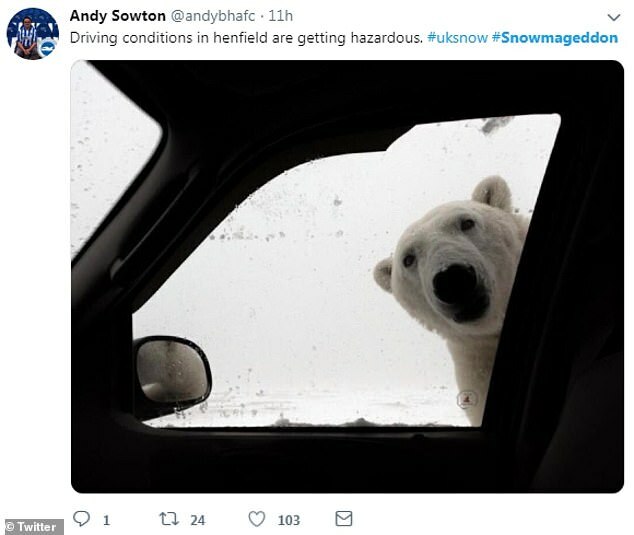 The Met Office has issued an amber warning that carries a 'potential risk to life' with more extreme snowfall expected in the Home Counties and West Country until lunchtime, cutting off towns and villages. 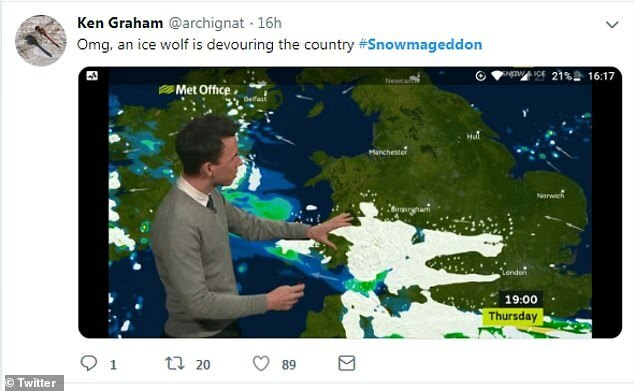 The overnight lowest temperature was -15.4C (4.3F) in the Aberdeenshire village of Braemar - making it the coldest night in seven years, since the -15.6C (3.9F) observed on February 11, 2012 at Holbeach in Lincolnshire. 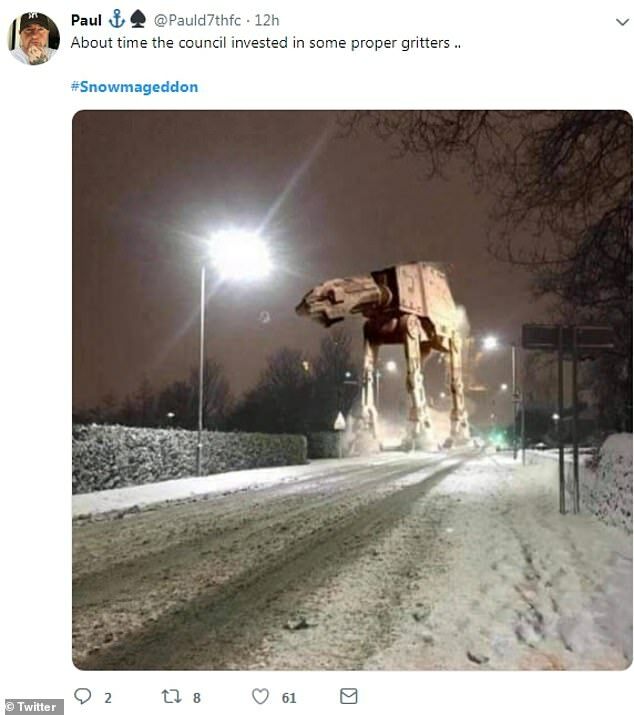 Around 12 hours of snowfall - the heaviest in England this winter - knocked out power for around 1,000 homes in and around Southampton. 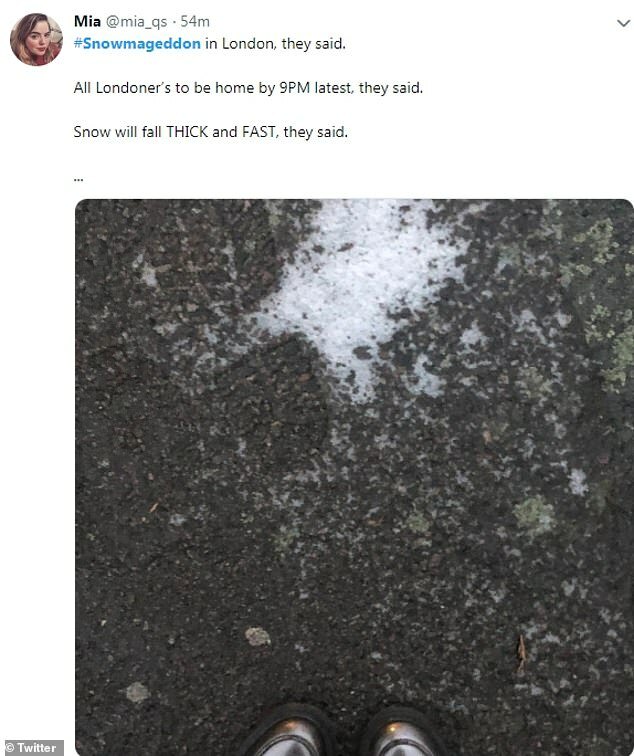 Flights across the south were cancelled, including from London Heathrow.